Everyone thinks it is easy being a baby. They eat, sleep, poop, and poop more. What is there to complain about? Why all the fuss? I haven't been a baby for over 27 years. However, I can bet wearing a plastic diaper for several months is not all that it's cracked-up to be. They seem to be a staple in the wardrobe of almost every baby born into the world (and that is a large number). Imagine if you had to tote around a plastic diaper under your bathing suit. Doesn't seem too appealing does it? The heat, the summer, the bulk. No, No, No! That sounds great and all, but what do I really think? Well, Iyana (my lovely tester) seemed to like the feel of the diaper. She could not stop smiling as she felt the soft, organic cotton against her little bottom. 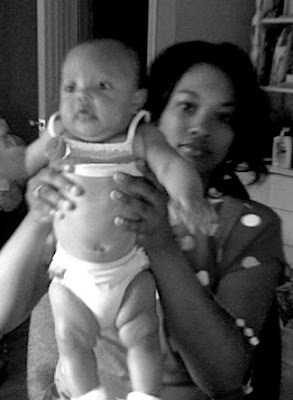 It is amazing how soft HUGGIES Pure & Natural Diapers feel. They seem more breathable and unnoticeable to babies. You would assume the leakage protection would not be as great as a plastic diaper. I felt the same way. However, the HUGGIES Pure & Natural Diaper provided the same, if not more, protection as the plastic diaper. I was able to review a 60-count of diapers. Any mom knows that diapers are expensive, so this was a perk. I noticed that the diapers seem to weigh less and take up less space in the trash. Plastic diapers can weigh a ton. They can also take years to decompose in a landfill. 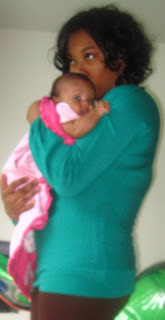 There is something about the naturalness of HUGGIES Pure & Natural Diapers that makes me feel all warm inside. Could it be the simple and cute design on the diapers? Could it be the fresh scent of aloe that greets my nose when I check for accidents? Maybe it's the amount of elasticity in the band that provides added comfort for baby. Could it be the sophisticated design and detail included on the front band of the diaper? I guess HUGGIES Pure & Natural Diapers are here to stay. 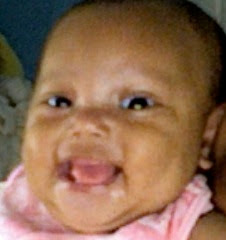 If you want to get in on all the action, request FREE SAMPLES at www.HuggiesPureandNatural.com. Too busy to leave the house to purchase your HUGGIES Pure & Natural Diapers? Click HERE to purchase them online. We don't have a baby in the house anymore, but these diapers sound terrific. 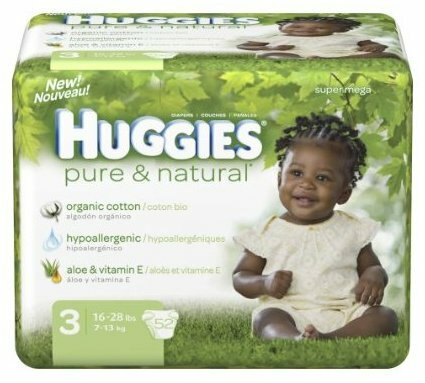 We always used Huggies Pure & Natural wipes, so this is a natural extension. We have been using Huggies Pure & Natural since they hit the shelves and we love them! Especially with all those $3 coupons floating around..
LOL at Iyana's expression! Her Verdict: No more old brand of diapers!! !